Today, virtually everyone should be building some type of “Plan B” business that can be started without a large investment and built over time. This just makes good business sense given the times we are living in. This is for those of us who chose network marketing as our Plan B. 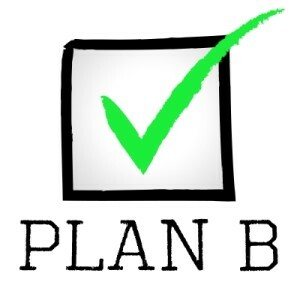 Here are 3 steps for getting your Plan B started with Network Marketing, from my book, “License to Dream” (can be ordered from Amazon or my website at www.judyohiggins.com). Do your research carefully and choose a company that fits you and whose product(s) you love. You will be representing this company and using the product(s) yourself for several years, so choose wisely! Do I truly know and believe in my heart that the product will benefit every person’s life that I share it with? Is there a genuine need for the product(s) in the marketplace? Will I have to compete with other companies offering something similar? Can this product be bought at a retail store for less than my company’s price? Most important of all, would I use and love the product(s) even if I were not going to get paid to tell others about it? Is the company financially sound? What is the “culture” of the company? Is the CEO committed to the company long term or just looking to make it successful and then move on? Are the top management passionate themselves about the product(s)? 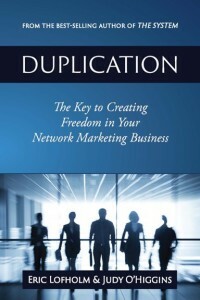 Do they have field experience themselves in the network marketing arena? Do they put the needs of the distributors at the top of their list? Do they have shareholders they answer to? What is their plan for future growth? It is critically important to understand that, just like in any business, you need a 3-5 year plan to achieve the success you desire. Network marketing is NOT a “get rich quick business,” just as if you started a Dunkin’ Doughnuts or Subway franchise, you would not become wealthy overnight. This is a mindset issue that is imperative to develop so you can avoid the trap of discouragement and quitting too soon. Develop a business plan and be willing to be coached by those who are already successful. Very few people in business of any type succeed totally on their own without support and a mentor. Treat your business like a business — not a hobby — and over time it will pay you like one! Understand that there WILL be many challenges and times you feel like quitting. The road to network marketing success has detours, potholes, and bumps in the road. Make a commitment that you will never quit on a bad day! Finally, have a long-term vision for success. Develop a dream book or vision board that spells out exactly what you are looking for. Give yourself permission to dream big and write your dream down in detail. Put photos that represent your dream of what you want from your business near you as a visual and emotional reminder of why you are doing it. Set some goals and timelines for achieving them, and work steadily toward accomplishing that. Try setting 90-day goals and working in 90-day cycles for success. This will give you the ability to do a fair analysis of what is working and adjust for the next cycle until you reach your goals. For more in-depth ideas on these 3 important topics, visit www.judyohiggins.com and check out my book, “License to Dream”, on the products page.